44% of the U.S. population use smartphones, an increase from 31% in Q1 2011. 62% of respondents said they had used their smartphone every day over the past 7 days. 80% of smartphone users don’t leave home without their device. 97% use smartphones at home, 83% while on the go, and 78% while in brick and mortar stores. 66% access the internet at least once daily from their smartphone; 73% do so to use email and 62% to use search engines. How Mobile Devices Have Changed U.S. Consumer Behavior ? 50% use their smartphone to look up restaurants/bars, and 31% to research or book travel. What do users want to do with their smartphones? To be entertained (88%), Communicate (83%), and Stay Informed (53%). The average American has 28 apps installed on their phone (6 of those are paid apps) and has used 11 apps in the last 30 days. 76% watch video on their device; 25% do so every day. 80% use their mobile device to visit social networks; 55% visit at least once a day. While using their smartphone, U.S. mobile users are also watching TV (52%), listening to music (51%), using the internet (43%), playing video games (28%), or reading newspapers or magazines (16%). 94% of respondents had used their smartphone to look for local information and 90% of those had taken action as a result. Of those, 70% connected with the business, 66% actually visited the business, and 36% made a purchase. 58% look for local information weekly while 27% do so daily. After finding local business information on their mobile, 15% of respondents said they had read or written a review, while 13% recommended the business to someone else. Mobile Search and Commerce in the US. 58% of U.S. consumers seeking product information are searching from home, 43% while on the go, and 31% while they are in-store. An overwhelming majority of respondents (96%) had searched for product information from their mobile device. 35% intentionally carry their smartphone while shopping so they can comparison shop. 32% said they had changed their mind about purchasing in-store based on information found online while shopping. Mobile contributes to cross-channel purchasing: 37% researched a product online, then bought in-store, while 32% then purchased online via their computer. 35% of American smartphone users have purchased through their mobile device, 68% of those within the last month. However, 65% still prefer to purchase while on their computer. 66% of Americans have performed a search on their mobile after seeing an offline ad (newspaper, television, magazine, etc.). 61% will only look at the first page of search results when seeking information on their smartphone. 98% of U.S. smartphone users notice mobile ads; 48% while in an app, 46% while on a website, 40% while using a search engine, and 27% while watching a video. 51 Social Media Marketing facts and statistics in 2012. 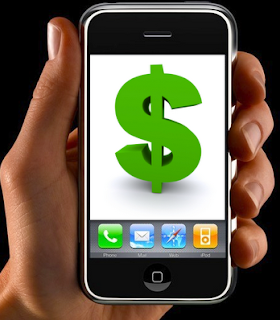 10 Top Mobile Marketing Facts and Statistics in 2012. Mahendra Singh Dhoni ...The Rise and Fall . Will you buy windows 8 surface ?